The construction of this Dam would boost cement demand by approximately 5 million Tons Per Year in Pakistan. The building of the Diamer-Bhasha Dam in Pakistan is expected to booth cement demand by around 5 million Tons Per Year (tpy) over the next 4 to 5 years. The government of Pakistan recently approved the project, which will provide 6.4 million acre-feet of water storage (around 7.9 billion m3) and 4.5 GW of electricity generation capacity. The government has allocated PKR23.7 billion to complete the project. Dewan Cement would be among the first companies to benefit from construction, as it operated the closest cement plant to the site of the project. The construction of Dam would boost approximately cement demand by approximately 5Mta in Pakistan. Dewan Cement Ltd’s nearest cement manufacturing plant is located in Kamilpur Hattar Industrial Estate, district of Khyber Pakhtunkhwa. It is expected to be awarded the largest cement supply contract, according to the required specifications for the cement to build the dam. Dewan Cement has a cement capacity of 2.94Mta with two separate manufacturing units, namely the Karachi plant in the south and the Hattar factory in the north. In other news, A new vertical cement mill has begun commercial operations at Pakistani cement company, Gharibwal Cement Ltd. With a grinding capacity of 250 tph, the mill is the largest cement mill operating in Pakistan, the company said. Cement industries in Pakistan are currently operating at their maximum capacity due to the boom in commercial and industrial construction within Pakistan. The cement sector is also performing well in the stock market with a 2.9% increase. According to the company website, Gharibwal Cement operates at 6700 tpd clinker production line in Ismailwal in Punjab Province. A second 8000 tpd is current under construction by Chinese contractor, CITIC China. Pakistan’s cement producers are already benefitting from a multi-billion-dollar investment in the country’s infrastructure with much of the money coming from China as part of the China-Pakistan Economic Corridor. Total cement dispatches are up 15.1% in the financial year to day (July 2017 – April 2018). Domestic demand has provided the foundation for that growth, with exports declining as a result. 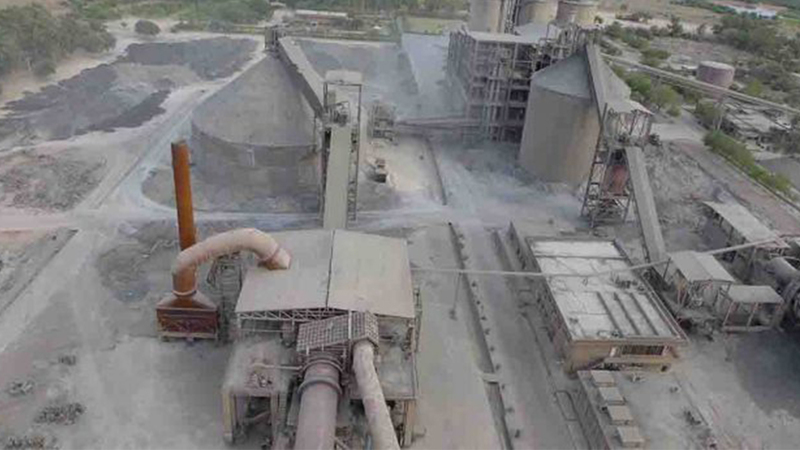 A new vertical cement mill has begun commercial operations at Pakistani cement company, Gharibwal Cement Ltd. With a grinding capacity of 250 tph, the mill is the largest cement mill operating in Pakistan, the company said. The cement demand from the infrastructure and housing sector have surged to a record high with work on Gawadar Port, KKH Phase-II (Havelain-Thakot 120km) and the Karachi-Lahore Motorway (Sukkur-Multan 392km) underway, said the report. According to the report, the government has also released Rupees 2.35 billion for the Housing and Works division, with construction set to start on new housing schemes in Islamabad. Plans for the construction of around 20,000 housing units for government employees and the Rupees 35 billion Thaliyan Housing Scheme on the M-2 Motorway interchange are also under consideration. Cement industry is indeed a highly important segment of industrial sector that plays a pivotal role in the socio-economic development. Since cement is a specialized product, requiring sophisticated infrastructure and production location. Mostly of the cement industries in Pakistan are located near/within mountainous regions that are rich in clay, iron and mineral capacity. Cement industries in Pakistan are currently operating at their maximum capacity due to the boom in commercial and industrial construction within Pakistan. The cement sector is also performing well in the stock market with a 2.9% increase.